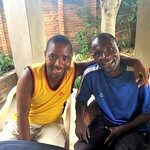 SIM Malawi is dedicated to sharing Christ’s love in Malawi in word and deed. 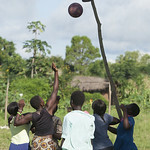 Young people under the age of 25 account for about 75% of the total population of Malawi. Yet we do not see the same ratio in churches. Many youth and children are not hearing the gospel, even in a "Christian" nation such as Malawi, and instead they are being influenced by the prosperity gospel mega-preachers. The youth are no longer simply following the beliefs of their parents or culture; they are increasingly impacted by secularisation, globalisation, and open access to technology. 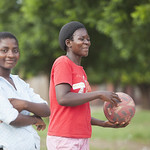 Young girls are particularly vulnerable in a context of poverty and HIV and AIDS. In Malawi there are many adherents, such as the Yao people, to other major world religions. These adherents maintain strong links with traditional African belief systems, which undergird much of Malawian society. These groups can be aggressive in their response to the gospel. Malawian Christians are fearful, reticent, and untrained in reaching out to each of these groups. Pray for new initiatives to reach youth and children, through sports, school, and after-school ministries, especially among girls. Pray for more workers for ministry among the Yao, traditional religion adherents, and the Chinese and Indian diasporas. Pray also for training in Muslim outreach, especially among women. Pray for pastors, lay leaders and youth and children’s workers to be passionate for Christ and equipped to engage with the diverse and changing needs of their communities. Pray for a re-focussing on spiritual and physical intervention and care, as part of an effective response to the changing context of HIV and AIDS, and for a reversal of the growing numbers of young people affected. Pray for the large proportion of youth and children in Malawi, and that strong Christian leaders will emerge to model godly living. Pray that individuals and churches will be transformed for Christ. Pray for the awakening and mobilisation of the Church in Malawi to reach beyond church and national boundaries with the gospel of Christ. Pray for people to help in administration in addition to other responsibilities. 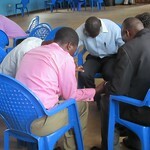 Pray for our cross-cultural team to maintain and model unity and Christian fellowship.